When moderate Muslim groups use takfirism to tackle extremism, this intolerant doctrine is not challenged but reaffirmed. 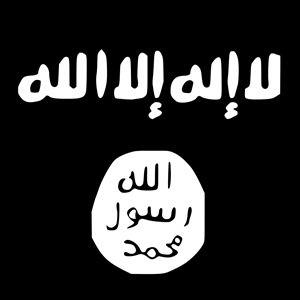 The last few weeks have seen a slew of Muslim condemnations of the extremist Islamic State of Iraq and Syria (ISIS). In the US, the Council for American-Islamic Relations called ISIS ‘un-Islamic and morally repugnant’. Arsalan Iftikhar, a well-known American Muslim writer, meanwhile wrote that ISIS should be called the ‘Un-Islamic State’. The Organisation of Islamic Conference has said that the ISIS’s killing of US journalist James Foley has ‘nothing to do with Islam’, while the Muslim Council of Britain has called ISIS ‘un-Islamic to the core’. These are strong words and these condemnations are both welcome and well-intentioned. However, many such denunciations also deeply problematic. Just as non-Muslims who try to tackle Islamism through defining moderate interpretations of Islam as the sole ‘true Islam’ actually undermine liberal Muslim attempts to develop a pluralist understanding of religion, so moderate Muslims’ use of takfir – the process of denouncing rival Muslims as apostates or non-Muslims – reinforces the ideological underpinnings of the very movements they are seeking to tackle. Takfirism is the root and enabler of all modern jihadism; takfirist doctrine enables any ‘true’ Muslim to label those with a rival interpretation of Islam as no longer Muslim. This, combined with traditional Islamic jurisprudence that mandates death for apostates, is taken by jihadists as an open license to denounce and then kill their enemies. When moderate Muslim groups use takfirism to tackle extremism, this dangerous and intrinsically intolerant doctrine is therefore not challenged but is instead reaffirmed. Illustrating this, one British fighter in Syria, explaining why he regarded the MCB as his enemies, said: ‘The Muslim Council of Britain, they are apostates, they are not Muslims”, ironically the same argument that the MCB itself makes against ISIS. A better approach is to accept that Islamist extremists, however distasteful their view of Islam, remain Muslims, however much other Muslims, and non-Muslims, might dislike their version of Islam. Traditionally, as long as a Muslim accepted the existence of a single God and that Mohammed was his final prophet, then he/she was a Muslim. Ironically, a return to this age-old ‘big tent’ approach – that both jihadists and ‘moderates’ are now trying to hastily jettison – is arguably a better way to tackle extremism than seeking to ‘takfir the takfiris’. It also goes without saying that in modern multi-cultural societies no respectable Muslim should be using ‘non-Muslim’ as a term of abuse against theological rivals; among other things this also perpetuates the stigmas against apostates (i.e. those Muslims who exercise their right to freedom of conscience by leaving Islam). A further problem with the ‘jihadists are not Muslims’ argument is that when mainstream Muslims deny that extremists are also Muslims, extremist arguments are not engaged with but are instead left to fester. Take, for example, militants’ fondness for beheading captives; jihadists typically justify this practice through referencing the Quranic verse 47:4 ‘when you meet those who disbelieve, strike at their necks’ (and variants of this, according to different translations), often supported by many centuries of warlike, and literally medieval, interpretations. Rather than seeking to effectively re-contextualise and de-fang this verse for the modern era, a blunt rejection of those who cite it as non-Muslims removes all scope for critically engaging – and dismantling – their arguments. This ostrich approach that extremists’ actions ‘have nothing to do with Islam’ not only fails to recognise how deep-rooted some hardline jihadist interpretations are, but it also effectively cedes such key theological battlefields to the extremists. The cumulative effect of the above is damaging inaction; if ISIS and other extremists are not Muslims, then why should Muslims be involved in challenging them and their arguments? The Muslim Council of Britain’s recent statement that ISIS ‘has been repudiated by all Muslims’ is a case in point; if all Muslims have rejected the group then there is nothing for more moderate Muslims to do. It is useful to consider how effective anti-racism campaigns would be if they had followed the same tactics (‘Nick Griffin? We really don’t consider him to be English because he’s adopted many foreign practices. The BNP? Oh, they’re part of an insidious plot by foreigners to damage Britain.’). On the contrary, effective counter-racism work has always involved identifying, countering, modifying or openly rejecting a range of traditional cultural practices, narratives and ideas; counter-radicalisation work in Muslim communities should be no different. Accepting that Islamist extremists are also Muslims, and that aspects of their ideology are deeply entrenched in Islamic tradition, is an essential first step. American Muslims have pretty much the same problem all American non whites have. And one of the typical dodges is to call us angry when we point out white racism. If I go all caps…sue me…and it does strain the eyes. My caps were on purpose and if you want to see it as angry, you have a right to your perceptions…do I have a right to my expressions? Or is it somehow your white duty to control me and how I express myself? There is no argument. There is only white denial…and thus the reason for my caps. Not at you, but an earlier commenter…but it seems you have come in to defend racist speech under the pretense of teaching me expression. The very same non-existent part that you have failed to produce quite simply because it does not exist? Haha – hilarious response just sorry it wasn’t to my post! Yep – the ‘non-existent’ ones as quoted on the links I posted. You won’t comment on them because you know the Koran speaks loudly and clearly for itself anyway. You are not producing it because it doesn’t exist. Come on paste it here. So I assume that particular one is from the hadith then. And since you declare it to be ‘mistranslated’ I will also assume that it something you do actually refer to. SO what do you believe is the correct translation?! Do tell! i care that you as a white person look in the mirror and see that you live in a world that runs off hostility to anything not white and Christian. No one was less angry and spoke with less hostility than Martin Luther King. Your people blew a hole in his chest and have kept right on with their merry racist ways even today. I love Dr. King and he was a great man, but my prototype is Brother Malcolm. You are stuck on trying to raise me or teach me. You crack a door. You admit white racism, but then somehow, the issue for you is, after I have watched my family ravaged by racist white people, you keep complaining that I need to not be angry or show any emotion……..It’s Ramadan and may Allah guide me…..dude this is my not-angry unemotional voice! This article is a call for understanding the opponent to fight it better, instead of just blindly rejecting it. It is a call to try to think rationally, instead of that black / white vision of things all of us when getting emotional. Of course we have serious reasons to be emotional, but this does not end / win a war. Please understand that your comments are a call for any Muslim to think or say: “as a Muslin I have no interest in defending //Insert here Western Country currently bombing Muslim country// when people and the country infrastructure are being killed in its name. We all want peace and this nightmare to stop at the end. Try to calm down your pain so you can think strategically.